There is a paradox in leadership: we can only succeed by knowing failure. Every accomplished leader knows there are minefields of failures that need to be navigated in order to succeed. Wouldn't it be great to have the insights to help you prevent from making avoidable mistakes? Unfortunately, in business talking about mistakes can be taboo, and, at a certain level, learning from failure is not an option. 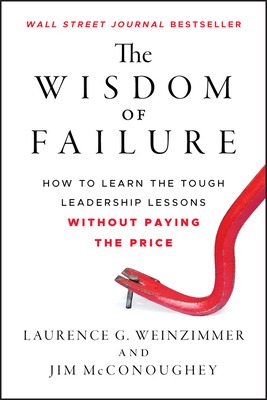 Weinzimmer and McConoughey speak frankly about the things that are difficult to talk about - the unvarnished truths necessary to become a successful leader. Learning from the mistakes of others is a necessary part of the journey of effective leadership, and this book offers an indispensable guide to learning these powerful lessons--without paying the price of failure.